Drumetry™ is a term coined by Drum Dr. Dot to describe her original poetry set to drum rhythms. Drumetry™ integrates two of Drum Dr. 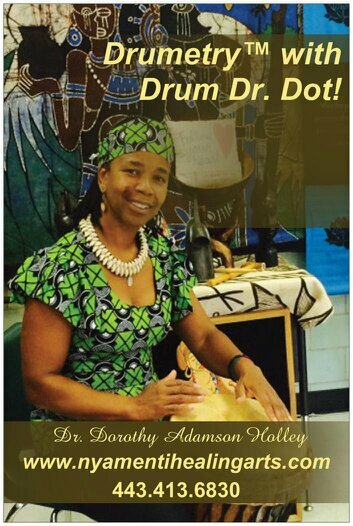 Dot's passions: drumming and poetry.